Pat Rizzo has been entertaining audiences from New York to California for over 40 years. Pat has a huge fan following and never fails to fill any room where he is performing. Pat has toured with many giants of the music industry: Tito Puente, The Allman Brothers Band and funk band, War. He toured for over 15 years with Sly and the Family Stone. He was also one of Sinatra's favorites and performed with him in Vegas, LA and at Frank's home in Rancho Mirage. Pat's band plays at Vicky's on Tuesday nights and was voted one of the top 3 best local bands by "Mycoachella.com" in 2013. 2. "It Could Happen To You"
3. "Just A Little Street"
4. "I've Got You Under My Skin"
6. "The Nearness of You"
7. "Dancing In The Dark"
8. "I'll Close My Eyes"
On Friday, April 18, Sharon Sills made her second appearance at Woody's Burgers and Beer in Palm Springs. Sharon has her own unique style that fits the Palm Springs scene perfectly. She has a remarkable voice that is strong and clear and when combined with her wonderful stage presence makes her one of the best entertainers in the Desert. Sharon sits in from time to time at several entertainment venues in the Valley, but I believe this is the first time she was the featured singer. Tonight Sharon sang many great songs from the 80's including an outstanding performance on two Melissa Manchester gems, "Come In From the Rain" and "Don't Cry Out Loud". Sharon loves Rock & Roll and Rhythm and Blues but also sings ballads beautifully! Backing up Sharon tonight were three highly talented musicians. David Ring is the leader of the group and is one of the best pianist in the Desert. Several singers I spoke to rated David as their favorite piano player. 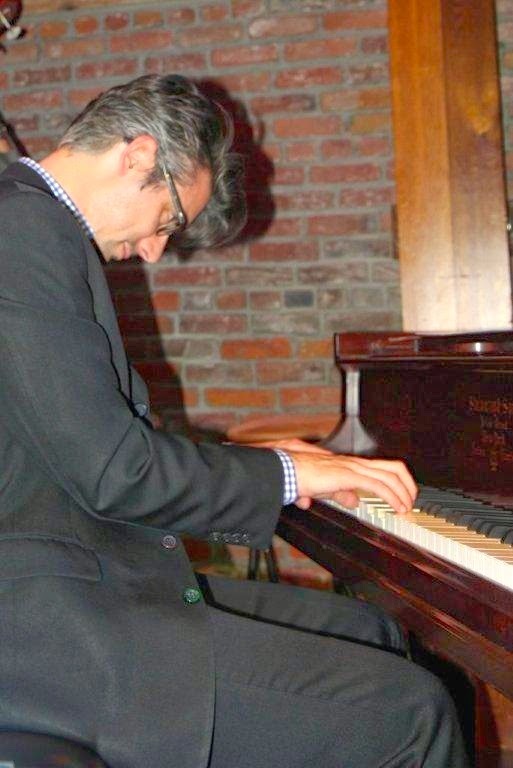 David also is a great Jazz pianist and loves to experiment with some of the great Jazz charts he covers. Joining David were Shelley Yoelin on Sax, Flute and Clarinet. I love Shelley's "take no prisoners" approach to playing Sax but tonight he impressed everyone with playing his Clarinet playing which was a perfect background for several ballads Sharon sang. On Drums was Jame Nation who provided a perfect beat and tempo for the group. All in all, tonight's show at Woody's had a cabaret feel to it. I look forward to hearing Sharon again in the near future. The new CD, "With Love" is as much about the singers as its about the arranger, conductor, producer and engineer, Jeremy Fox. Jeremy has gathered 10 of the most highly acclaimed voices singing today. In order to make Jeremy's final 10, each singer had to prove they had the ability to not only understand the lyrics of each song, but prove they could deliver it with the composer's implied emotion. For those of us who love singers who can understand and perform songs from the "Great American Songbook", this CD is a gem. The value of the arranger of songs is sometimes overlooked by many listeners but not by experienced singers. They all know that a good singer can quickly become a great singer with the addition of a fabulous arrangement. One has only to review the career of Frank Sinatra and his respect and desire to record with only the very best arrangers to recognize their value. The singers on this CD have a close relationship with the songs and lyrics they perform and the results are some great performances. The selection of songs on this CD are also a work of art. Jeremy put hours of work and planning into producing this CD. He is very proud that he used the talents of over 80 talented musicians and no artificially synthesized instrumentation. The final product has made all his effort worth it. This is a first class CD by a first-class arranger and performed by first class singers. Sunday Afternoon Jazz At Vicky's, Great Music, Great Players and Great Fun! 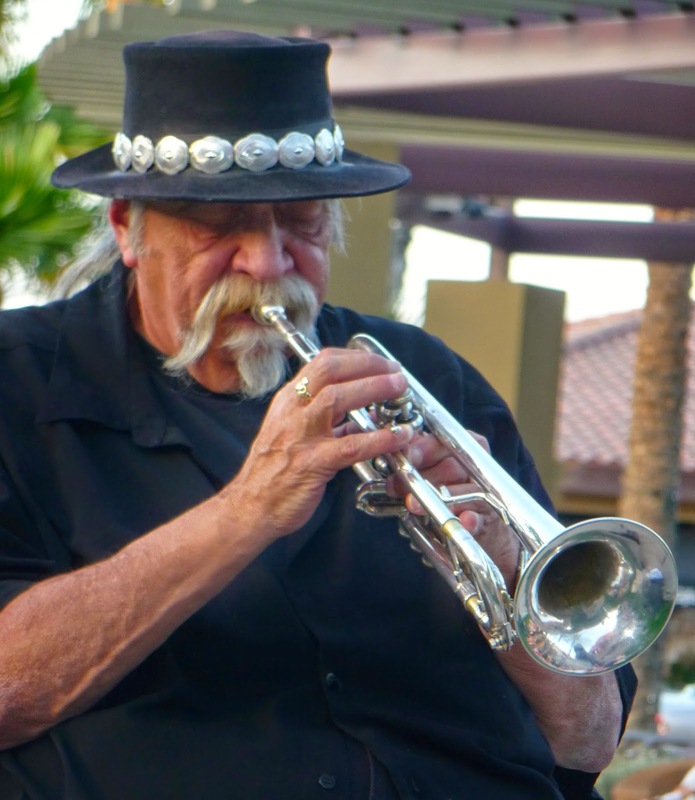 "Jazz Time" at Vicky's in Indian Wells is a wonderful Jazz series that has been running on Sundays from 2:00 pm to 5:00 pm for over 8 years. That's a long run for any musical group! So what makes these Sunday Jazz events so special? First, the leader and Drummer of the group, Allen Goodman assists in selecting some of the most experienced and talented musicians available to join his group. 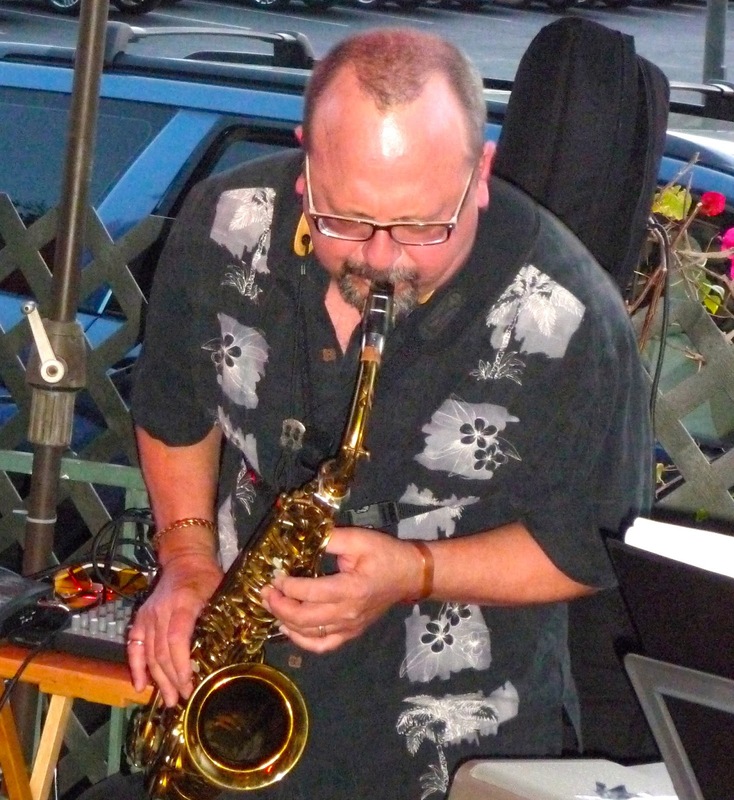 Don Shelton performs vocals and plays Soprano and Alto Sax, Clarinet and Flute. 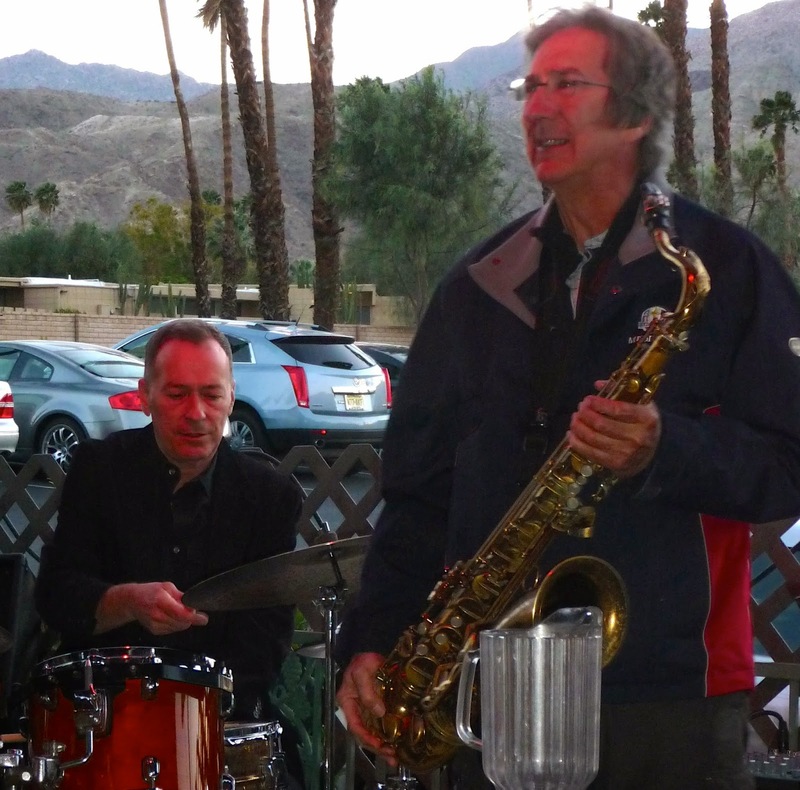 Desert favorite, Larry Holloway plays Bass and Tom Kennlyside plays Tenor Sax and Flute. Second, these 4 marvelous musicians love having the opportunity to play real Jazz. And fourth, Allen Goodman and Bobbi Goodman have set up a format that adds new world-class Musicians and Singers every week. Their motto is: "Don't miss a Single Sunday-You Never Know What Great Thing Can Happen, Just That It Will." Bobbi Goodman takes care of the organizational business for the group and deserves major credit for lining up outstanding Jazz musicians and vocalists every single week. This is a difficult time-consuming task. Bobbi has been able to bring over 100 great guests to appear in their 8 year run. Combining Allen's musical skills and contacts with Bobbi's great managerial skill is a hard combination to top! 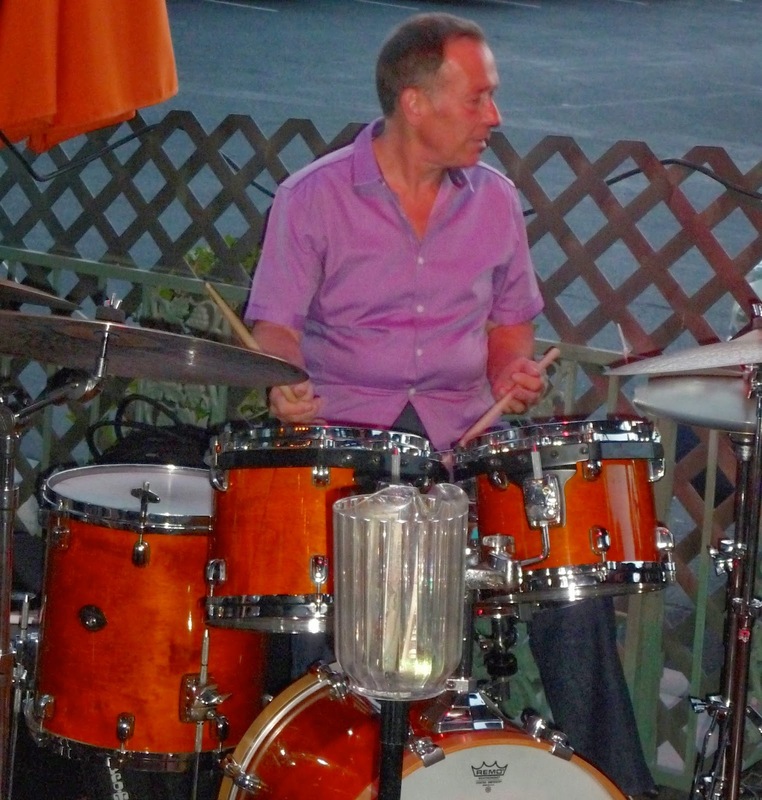 Drummer Allen Goodman has years of experience from NY supper clubs to Carnegie Hall to NBC TV. He has played for the following TV Shows: "The Tonight Show", "Laugh In", "Flip Wilson", "Name That Tune" and "The Dean Martin Show". He has also toured with world-class musicians and singers like Dinah Shore, Johnny Mathis, Peggy Lee, Liza Minnelli, Vikki Carr and Matt Monro to name just a few. Don Shelton plays wonderful winds and does vocals and has a glorious Jazz history. Don has vocalized with the Hi-Lo's and Singers Unlimited. He recently played with Barbara Cook and has worked in sessions for Prince, Michael Jackson, and Robert Palmer. Larry Holloway provides a strong foundation for the group. Larry creates wonderful tones from his vintage Bass that was built in the 1890's. 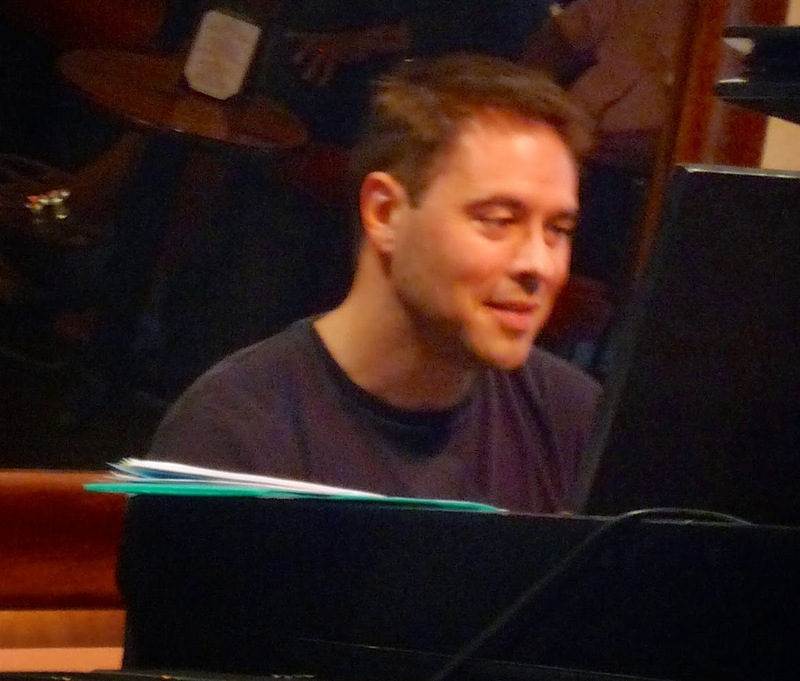 Tom Keenlyside was out touring this week but he is a regular in this Jazz group. Tom has played with many of the biggest names in the music business: Diana Krall, Harry Connick Jr., Natalie Cole, Dizzy Gillespie, Mel Torme and Tom Jones. Today's special guests were Nick Mancini on Vibes, Vocalist Kate Campbell and Pianist Chip Smith. Nick Mancini is the best vibes player I have heard in years. His virtuosity is marvelous to witness. He just doesn't just play the vibes, he attacks them. At times, when listening to Nick play, it almost seems like he is slightly ahead or slightly behind the beat. During today's entire 3 hour performance, Nick was always on target, putting his own personal emotional spin to some classic Jazz songs. I was most impressed by his approach and touch with ballads. Nick is a member of the rare club of instrumentalists that can produce the emotion of the lyric through his instrument. I don't use the word brilliant too often, but Nick Mancini brings brilliance to the Vibes. Kate Campbell is not only a wonderful singer she is also a fine actor. She has the ability to transfer her emotional energy into the lyrics of the songs she loves from the "Great American Songbook", making the stories the composers developed come to life. It is very refreshing to witness a young singer who not only understands the story of the lyric but can express that emotion to her audience. Kate Campbell has a very bright musical future. Chip Smith has earned a living for the past twenty years as a commercial composer in Los Angeles. He has written for clients like Michael Buble' and Universal Studios, the Discovery Channel and Bush Gardens. He plays piano with simple clarity and his solos are fresh and inventive. It was a real pleasure listening to Chip. I highly recommend that you make plans to be at Vicky's on Sunday afternoons. Vicky's will be closed for Easter Sunday but "Jazz Time" will be back in the house through May. This is the third in a series of blogs about the top 10 favorite songs of some of the best musicians performing today. Steve Madaio is a music legion. Steve along with David Sandborn performed on stage at Woodstock with the Butterfield Blues Band. He has toured and recorded with the legendary Janis Joplin, and enjoyed two world tours with The Rolling Stones. Steve has also toured and recorded with Stevie Wonder, John Lennon, Bob Dylan, Bonnie Raitt, Madonna and Barbra Streisand to name just a few! Steve loves the "Great American Songbook" especially the ballads. Often when performing, he mentions when a particular song is on his personal top 10 list. His fans, and I'm one of them, can now see his list----in no particular order. 2. "I Can't Get Started"
4. "Shadow of Your Smile"
5. "When I Fall In Love"
The new CD, "Humblebrag Live At 800 East" from Michael Feinberg is very inspirational. Michael informs us the word humblebrag means "Subtly letting others know about how fantastic your life is while undercutting it with a bit of self-effacing humor". Pretty deep thought and so is the music. Michael Feinberg is a talented Bassist and a superbly and refreshingly creative Composer who is not satisfied following the traditional Jazz-composing path. This means Michael must take some serious musical risks, and he embraces these challenges. I willing admit that Michael's compositions would not normally be what would musically attract me, but there is something about, not only the way the music is composed, but how it sounds that is very appealing to the listener. Part of this is due to the wonderful group of talented musicians Michael has assembled to record his compositions. Michael agrees as he states, "These guys are my friends and they make it a comfortable environment. Each one is a talented composer, and knows how to interpret my music. Billy and Godwin spent two years playing together every day at the Monk Institute, and on top of their virtuosic musicianship they're an amazing team. Along with Julian they're the next generation of guys coming up." I could not agree more with Michael's assessment. Supporting Michael on this CD are some of the brightest new Jazz stars on the New York scene. Julian Shore on Piano, Godwin Louis on Alto Saxophone, Billy Buss on Trumpet and veteran Terreon Gully on Drums. Jacob Deaton adds his Guitar on one track. This CD will hit the street on May 7, 2014 and will be enjoyed by any serious Jazz fan. This may be the new face of Jazz going forward but for now its just great inspiring music! 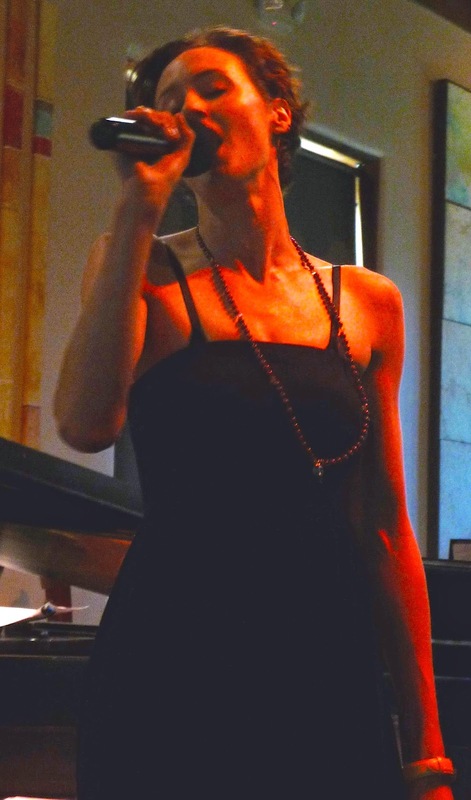 Tuesday night is always Jazz night at Backstreet Bistro. On Tuesday April 8th, Bill Saitta put together a sensational group of musicians who put on a wonderful Jazz show to the delight of the standing-room only Jazz-loving crowd. Tonight's music was particularly special because of the addition of everyone favorite singer and keyboard player Linda Peterson. Linda has not been in the Desert much this season, but tonight she reminded us of how good a performer she is. It was somewhat strange seeing her as a side-man, but the results were outstanding for the audience and the group. Craig Yancey played Soprano, Alto and Tenor Sax tonight and he was very, very impressive. His tone on all three Saxes was superb and he played his heart out on every song. I have heard Craig play before, but I have never heard him play as well as he did tonight. Great work Craig! Bill Saitta was on Bass and again showing us how hard he has worked to produce fresh, intelligent solos that set him apart from other Bass players. Bill's growth as a Bass player and a singer continue to surprise all of us. 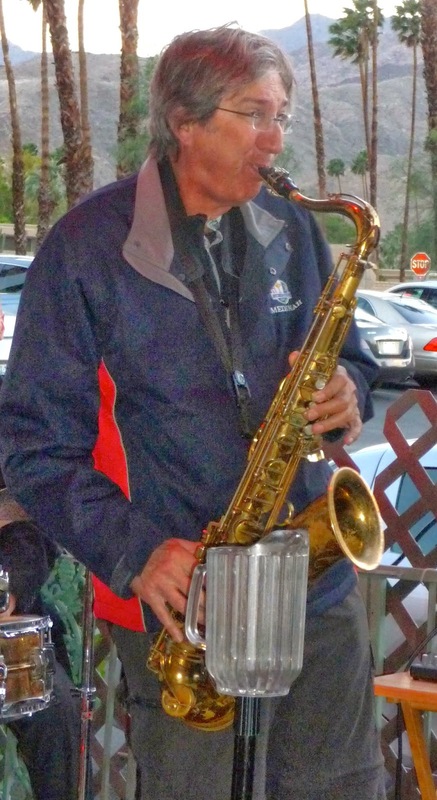 In addition, Bill deserves recognition for putting together the music lineup for the Backstreet Bistro Tuesday night Jazz series. It's never the exact same players but always top draw talent. Jay Lewis continues to play impressive drums night after night. Jay is a Drummer with soft hands and plays with great taste. He never overplays, provides perfect tempo and when called puts together very tasteful solos that seem new each time you hear one. We had some really outstanding musicians sit-in tonight also. First, world-class flute player, Tom Keenlyside joined the band and the fun. Then one of the greatest Harp players in the country, Ron Kalina showed the audience why ballads from the "Great American Songbook" are still being played 100 years after they were written! The evening concluded with a performance by 14 year old Chase Huna. Jazz lovers in the Desert have seen Chase sit in with various Jazz groups since he was 10. Tonight's performance was the first time I had an opportunity to hear Chase this season. It proved that Chase has arrived. He has his own style, and his solos were new and creative. I am sure it won't be long before we see Chase performing full-time with his own group. 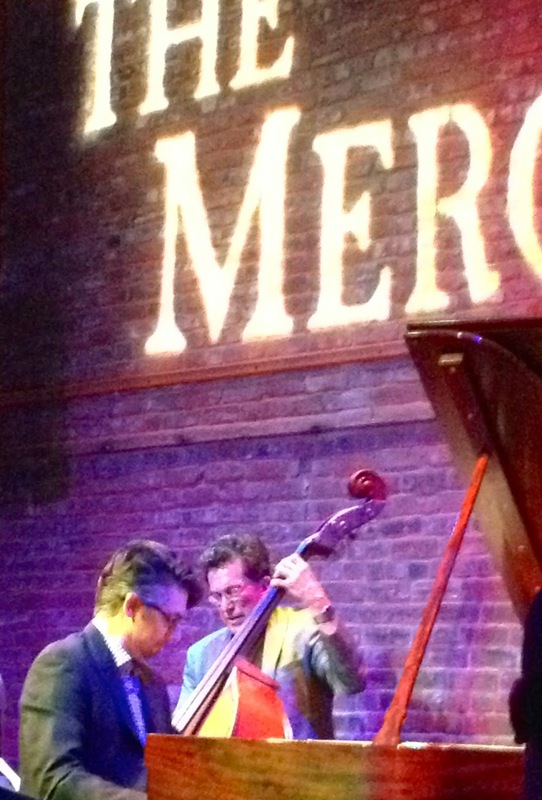 On Thursday April 3 Bassist Jim DeJulio and Pianist Josh Nelson joined forces to put on a magnificent program of Jazz at the Merc. "The Jazz at The Merc" is a Jazz series that spotlights what Sherry Williams, the creator and manager of this series calls "Chamber Jazz". 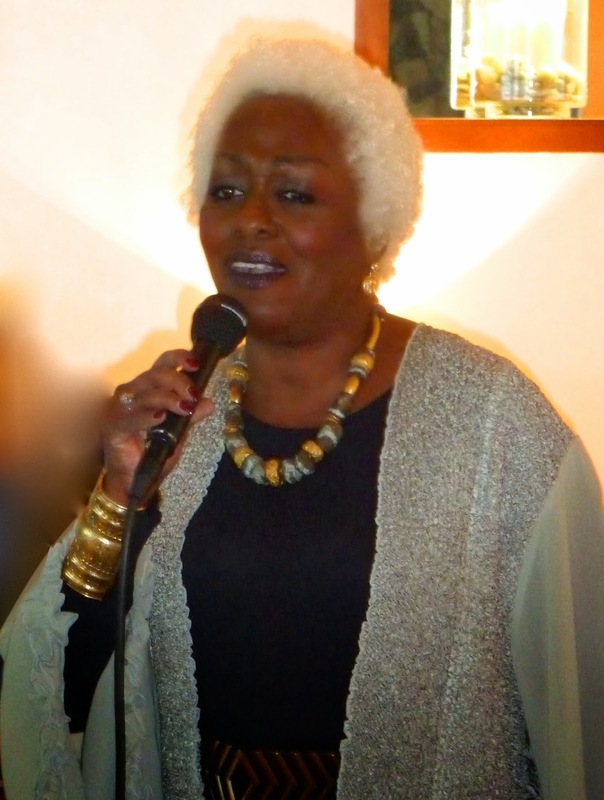 This Jazz series hosted by the wonderful Jazz singer, Sherry Williams lights up every Thursday at 7:30pm in one of the most intimate Jazz venues you will ever experience. "The Merc" is at the Old Town Temecula Community Theater (42051 Main Street). The acoustics inside the small theater that seats only 48 are hard to explain. Think about going to hear your favorite Jazz players in a recording studio with 50 of your closest friends. The sound is so good, so intimate that you almost become one with the music. I have been told by my musician friends that they make their way to "The Merc" just to enjoy playing in this wonderful acoustical space filled with appreciative Jazz fans. Tonight was no exception. Performing tonight was one of the most respected Bass players in the country, Jim DeJulio who was joined by one of the most talented and sought after young Jazz pianists, Josh Nelson. 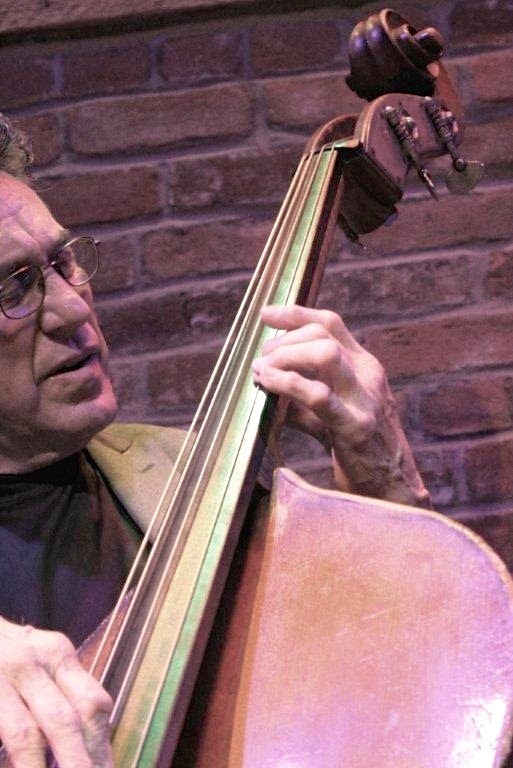 Jim DeJulio, well-known and respected by Jazz musicians from coast to coast is one of only a handful of Bassists that understands the beauty and simplicity of playing melody. When Jim played melody on his Bass like he did Thursday night for "How High The Moon", the listener visualized the lyrics and felt the emotion the composer put into the song. Technically trained, he is exceptional when playing all genres of music. He played for Sinatra and the Pittsburgh Symphony for years. No wonder Jim was Sinatra's Bassist of choice for his Vegas concerts and his Palm Springs house parties. In addition to his magnificent Bass playing, Jim has also written some outstanding songs, several of which he performed Thursday to the delight of the audience. The list of world-class musicians Jim has played with could easily make up the "Who's Who" of Jazz: Sinatra, June Christy, Johnny Mathis, Dionne Warwick, Sammy Davis, Jr, Carmen McCrae, Lannie Kazan, Vic Damone and Nancy Wilson to name just a few. In addition, normally when a Bassist is playing with a most-talented Pianist, the Pianist would be leading the charge for most of the concert. But not tonight! Jim carried the lead many times during the evening but by the end of the performance, these two talented musicians shared the lead equally. Josh Nelson is only in his early 30's but has already established himself as one of the most upcoming Pianists and Songwriters on the West Coast. His approach to Jazz on the piano is fresh and inventive, and his touch is so light and beautiful one wonders how he is able to generate the sounds he does. Josh has already won many awards including being a semi-finalist in the prestigious International Thelonious Monk International Jazz Piano Competition. In addition to his ongoing songwriting pursuits, Josh has also been busy touring with Jazz vocalist Natalie Cole for the past two years. 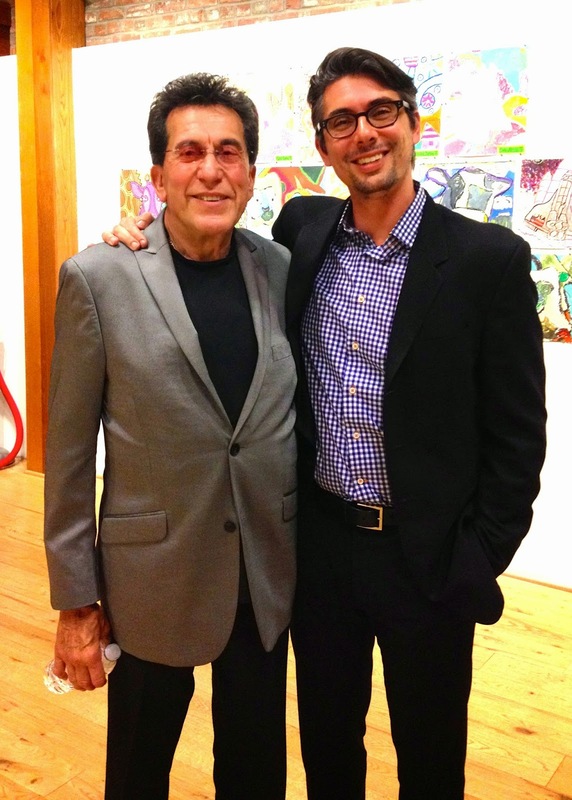 He is also devoted to maintaining a private studio of Jazz students and teaching Adjunct Faculty at Soka University. 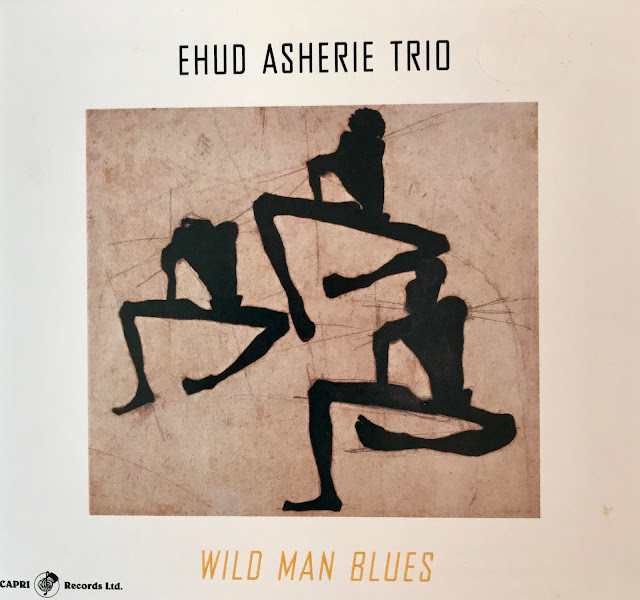 Josh's influences are from Herbie Hancock, Bill Evans, and Keith Jarrett. Quite a trio of brilliant talents to emulate! Josh Nelson may be young but he is already an accomplished Jazz musician. Don't miss any chance to hear him. By the way, the piano at "The Marc" is a beautiful-sounding Steinway that makes any Pianist want to play. Jazz lovers always make the best and most appreciative audiences. 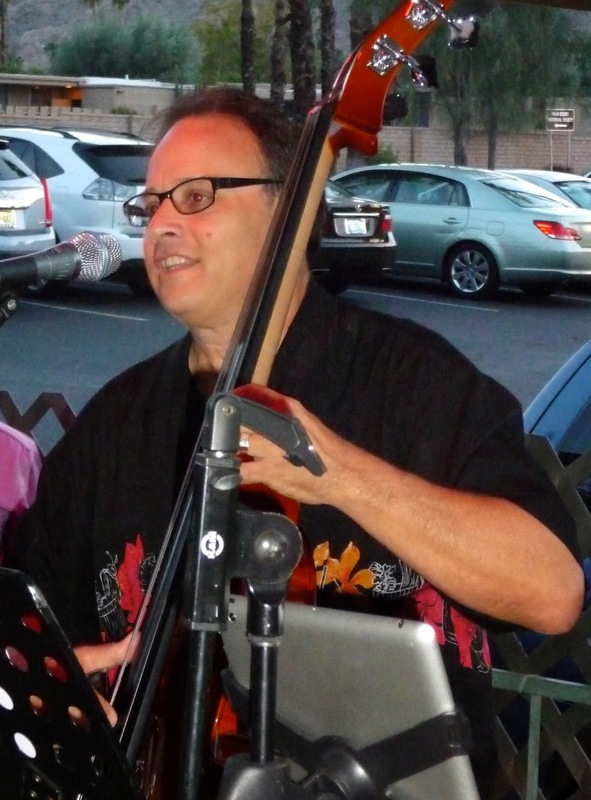 On Tuesday, April 1, the great electric Bass Man, Gilbert Hanson sat in for Bill Saitta to lead a group of very talented musicians perform a night of Jazz at The Backstreet Bistro. The weather was windy and cold. Only serious Jazz fans would brave this weather and have dinner on the patio so they could hear the great sounds. This night proved if you play great Jazz, they will come and the patio was full regardless of the weather. As soon as the band started to play, it seemed to warm the air and everyone immediately enjoyed the music and the musicians. 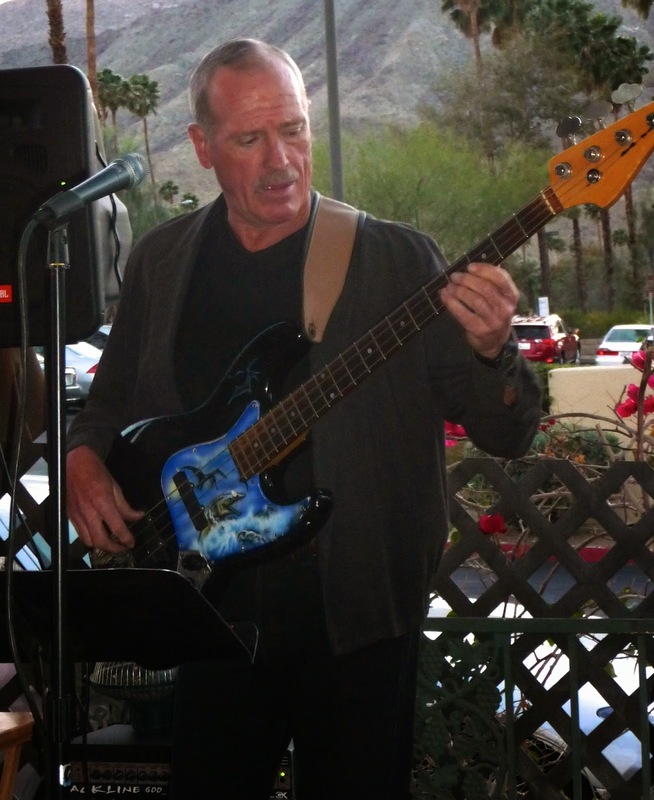 Gilbert Hanson is one of the few electric Bass players who plays Jazz in the Valley. He has a unique, cool style, puts down a great groove and walks his electric Bass as well as any Stand Up Bass player. In addition, he sings the Blues as good as anyone I have heard. Tonight he warmed up the audience singing his version of "Going To Chicago". Taking the lead on most of tonight's songs was the talented Tenor Sax player, Shelley Yoelin. When Shelley plays he takes no prisoners, just full speed ahead. He delighted the audience with enthusiastic solos that were well-constructed. On Guitar tonight, was our old friend, Dan Papalla. Dan is highly respected throughout California and for good reason. He plays great fresh solos where the listener can clearly hear every note he plays. Any group would be glad to have him. Jay Lewis one of the absolute best drummers in the Desert played Drums tonight and proved once again why he is so sought after by all the top professionals. 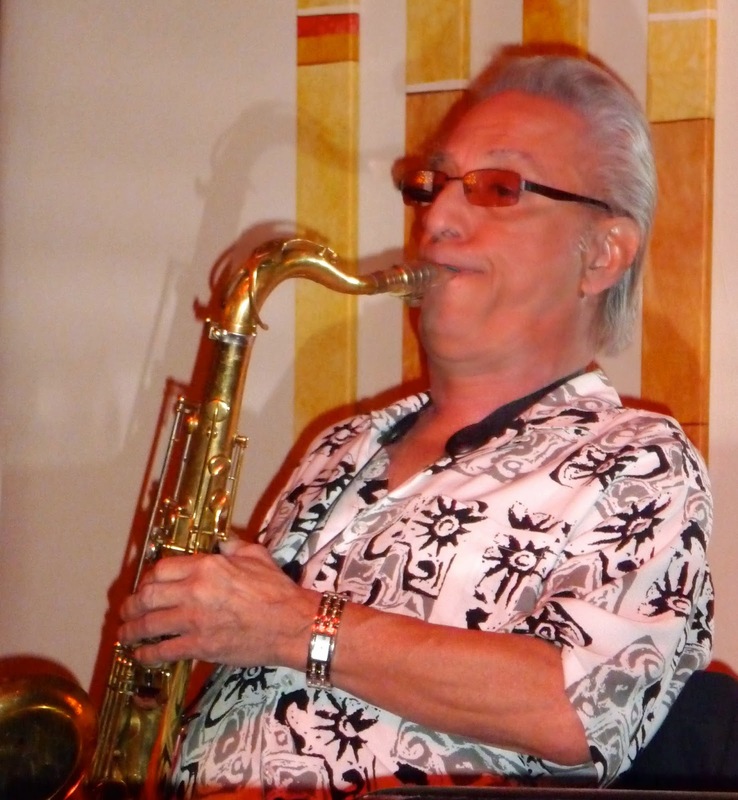 He plays with great taste, never overpowers the group and performs original and tight solos. It was a windy and cold night, but this talented group performed as if we were in the middle of a heat wave. A great evening of Jazz for all. This is the second in a series of blogs about the top 10 favorite songs of some of the best musicians performing today. Rose Mallett is one of those professionals. Rose has only been singing in the Palm Springs area for a few years, but she has already established herself as one of the Valley's top singers. She delights her audiences with her original style of singing that shows influences of all the classic great singers of the Great American Songbook like Ella and Sarah. 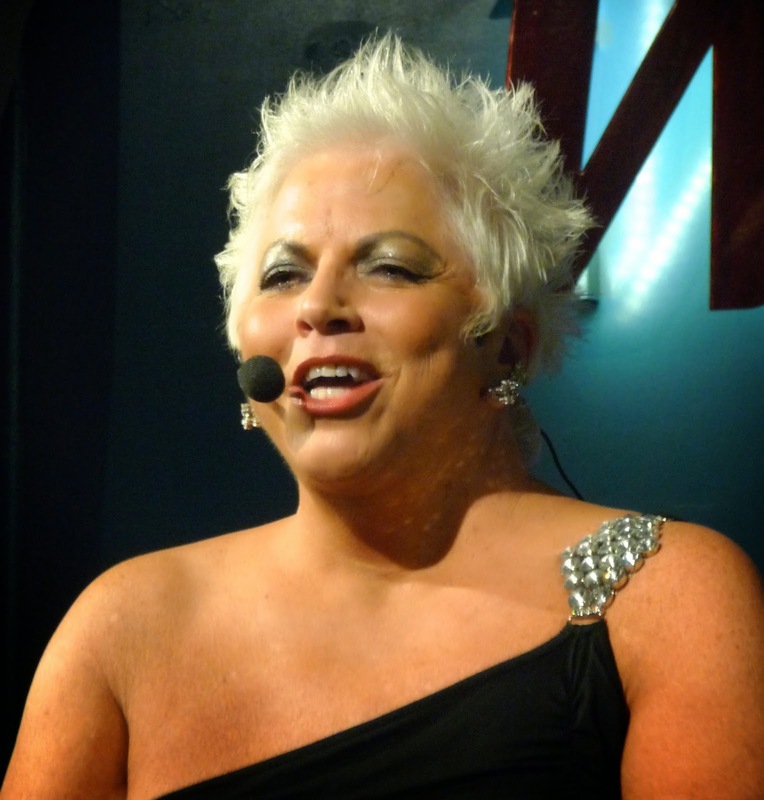 She has been appearing on a regular basis in many of the favorite Jazz spots including Woody's in Palm Springs. 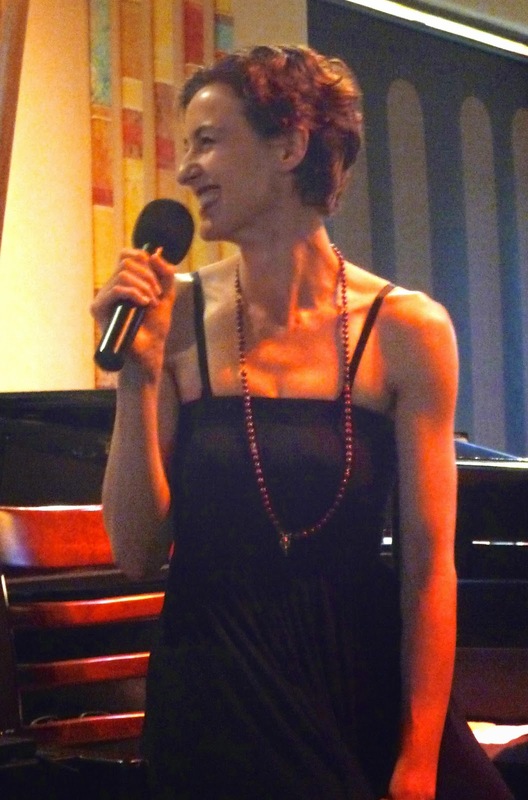 I would recommend that you check out her site: Rosemallett.com that lists her current performing schedule. Wonderful singer and also a wonderful caring human being. 1. "How Do You Keep The Music Playing"
10. "Send In The Clowns"
The new CD "Still" is the first release by veteran Jazz pianist Keith Davis and it's filled with beautiful original music that he composed. Keith has spent the last 30 years building his reputation as a Jazz pianist, composer and educator. He toured with the Glenn Miller Orchestra, the Artie Shaw Orchestra and as a member of the Teddy Adams Quintet. Keith has perfumed with many of the greats of the American Jazz scene including David "Fathead" Newman, Ben Riley, Mike Mainieri, Pat LaBarbera and Frank Foster. Keith lives in Greenville, SC where he serves as Adjunct Instructor of Jazz Piano at Furman University. Joining Keith on this CD are Ron Brendle on Bass and Justin Watt on Drums. These three performers fit together perfectly with the wonderful Jazz composing of Keith Davis. The music is fresh and relaxing and sure to be loved by any Jazz lover. Keith has constructed each melody with clarity, and yet, he allows the group plenty of room to explore. Simply great Jazz for everyone! This CD was produced by Keith Davis and released on February 4, 2014 on the LoNote label.